Elisha Guido Writes: Oh my banana! 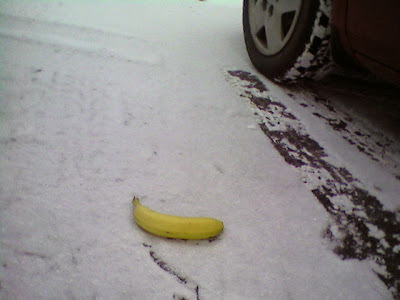 Today before church, as I hurried out of my car, I dropped my banana on the floor. For some bizarre reason I found it really funny. I then proceeded to say out loud, "Oh my banana!" I suppose that is what I get for being in a hurry. On a better note than fruits falling on the floor, I picked it up and ate it later on. It was yummy.